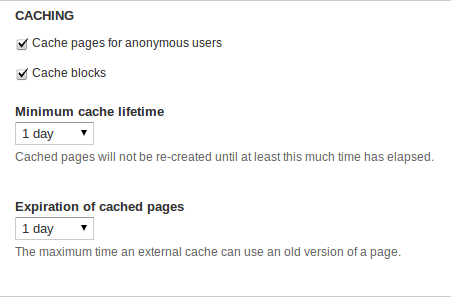 Warming the cache gives your users extremely fast pages all the time. Using varnish, cron and bash you can give your clients very fast pages. Extremely fast pages I mean pages with the main request that loads under 0,5sec. Something like this. The main http request is served in under 150ms which is almost not even noticable. Loading all the other images, css and js takes around 1.28s. Further optimising could be done with sprites and CDN but for my blog I m happy with the results for now. Warming your caches is pretty easy. With the xml sitemap module, a bash script and well configured cache you can do this. Configuring the cache on a blog site to last for a day is a good idea since the content doesnt changes that much. If you have a frequently commented blog then you could lower this. Install the http://drupal.org/project/xmlsitemap By setting this up you should be able to get map of your site urls. We will explore this to crawl the pages with our script. The script crawls all the sitemaps for each language. This will crawl the site everyday ensuring that the cache is warm. Since it lasts for a day we know the cache is always warm. This will ensure users a fast page all the time. 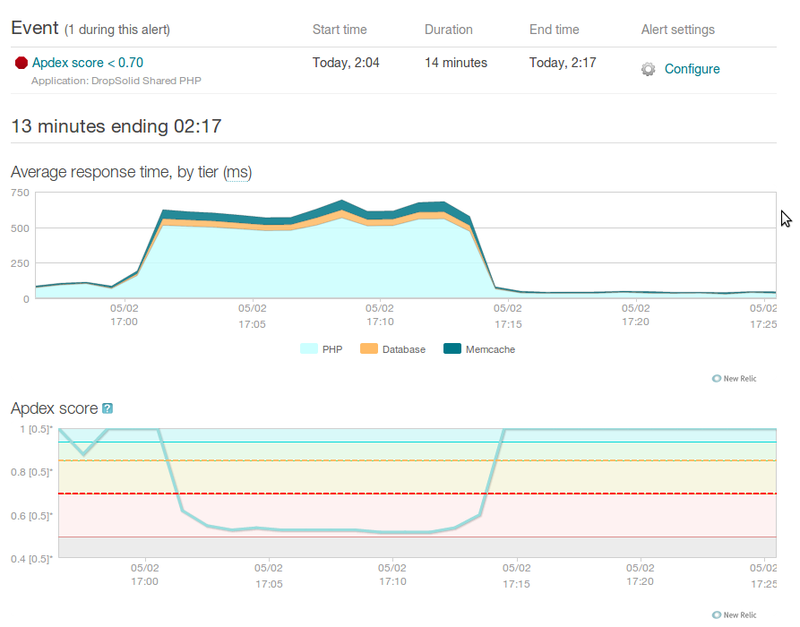 Here is an image of our cache being warmed (from New Relic). This slows the server for a brief time span during a time when the least users are on the site, only to make the site perform for the rest of day at lightning speed. You are right it will be easier in the logs to identify. Your shell script contains HTML entities, probably an artifact of geshifilter? This breaks the script. For example grepping for "http://$URL[^&lt;]+" finds nothing. Should be "http://$URL[^<]+" (the literal < character). Thanks for notifying. It got badly encoded. I fixed it now. FYI, you identify the script name as "warm-cache.sh" but your cron command uses "cache-warming.sh"